This is last part of the blackwork borders I had used as a yoke pattern. This particular set of borders are a combination of blackwork border patterns . 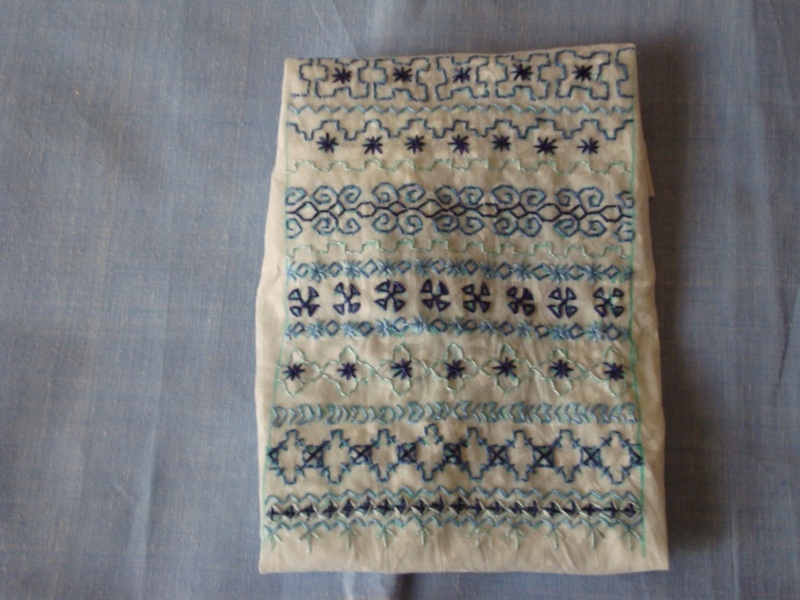 This yoke is small, and embroidered with shades of blue thread. The completed yoke placed over the tunic fabric. 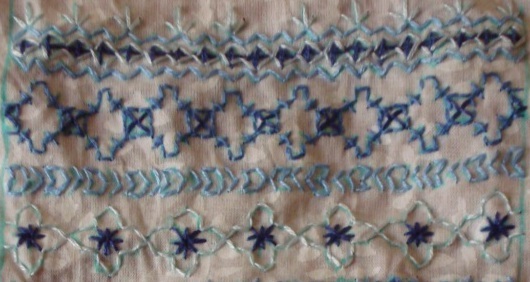 The blackwork borders were worked in shades of blue, with the idea of matching this tunic top to my blue jeans. The embroidery had a certain look, while working on the white fabric, then it looked different , when it was attached to the light blue tunic fabric. Maybe, for the blue tunic fabric , I should have used some other combination. The third part on my next post. While browsing for some designs, I hit upon the idea of working some borders as a yoke pattern. Getting into the spirit of it thought blackwork borders can be used for this. 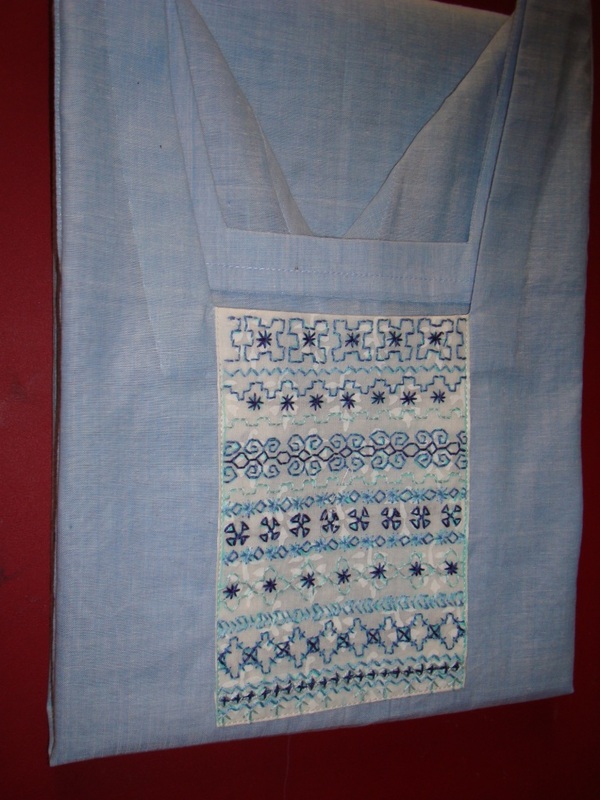 Then the tunic fabric was chosen, a light blue handloom cotton fabric. 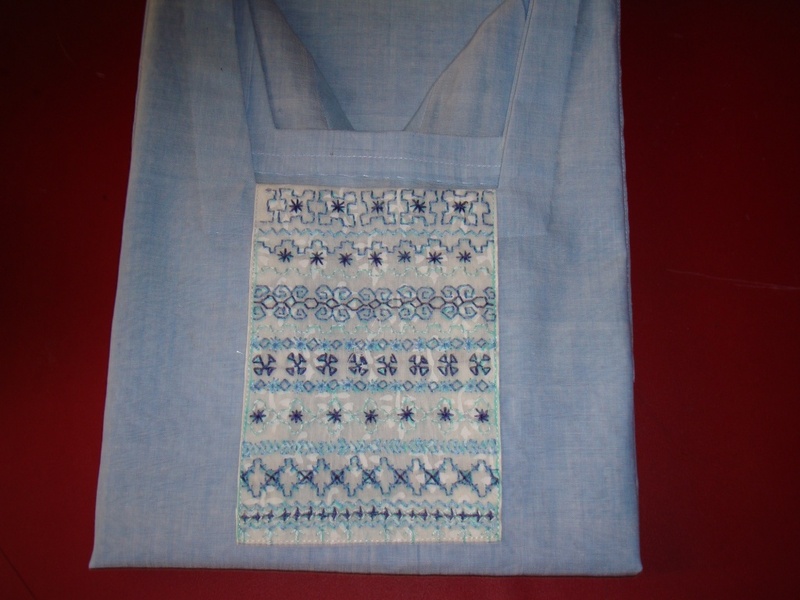 I thought the yoke can be worked in white colour fabric, with threads in shades of blue. The blackwork borders that were drawn on graph paper. Then this pattern was traced on to the white fabric. Then I started the embroidery on this pattern. Step by step pictures were not taken. It is a small yoke. two more parts are there. Will post them later.